Catching a snook takes time and patience. But oh boy, when you get one on the line there's a lot of fun to be had. 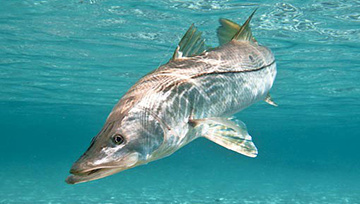 Snook season closes the first of December through February, and then again from May 'till the end of August. So even as summer begins to settle, Fall brings some great fishing! Unless you are exempt, you'll need a snook permit plus a recreational saltwater license. You can go at 'em with hook and line. The limit is one fish per fisher. The gulf size limit is it has to be longer than 28 inches and shorter than 33 inches. So have some fun and save some snook for us!